Façade automation for environmental ventilation, CO2 and temperature control incorporating night time cooling. 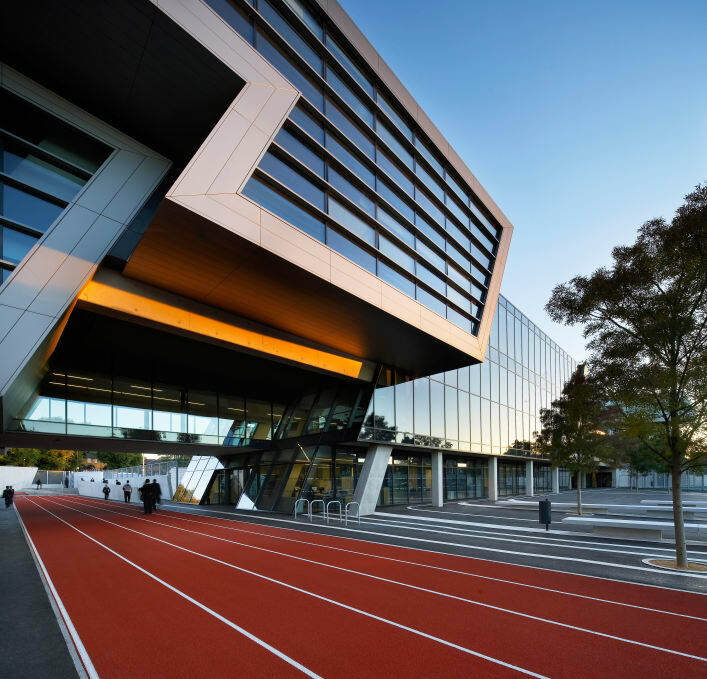 The 2011 RIBA Stirling Prize resulted in a triple success for SE Controls as its specialised smoke and natural ventilation solutions are used not only in Zaha Hadid’s stunning award winning design for Brixton’s Evelyn Grace Academy, but also in two of the other five shortlisted finalists. The Evelyn Grace Academy incorporates four separate schools within a single building and to ensure that high levels of natural light are available throughout the building, the exterior makes full use of glass cladding, which forms part of the natural heating and ventilation incorporated within the design. Control and management of the natural ventilation system’s concealed vents is handled by more than 70 SE Controls OS2 Controllers linked to the building management system (BMS) to provide incremental operation of the vents to ensure ample fresh air is supplied at all times throughout the building. Natural ventilation also forms part of the SE Controls’ solution installed at another RIBA Stirling Prize finalist, the Royal Shakespeare Theatre in Stratford-upon-Avon. SE Controls provided the smoke and natural ventilation strategy in the rebuilt restaurant area, the colonnade and the link bridge connecting the building to a newly built observation tower. The multi-zone smoke and natural ventilation solution developed and installed for the RSC theatre by SE Controls utilises a range of EN12101-2 chain actuators connected to dedicated zone control panels as part of the fire alarm system and linked to the building’s BMS. The natural ventilation solution is also linked to the smoke ventilation system to clear smoke and enable visitors to evacuate the building in the event of a fire. SE Controls specialises in the design, project management and installation of advanced smoke ventilation and natural ventilation solutions to meet the needs of architects, contractors, building services engineers and facilities managers.